Two days after her completion, Titanic begins her sea trials. 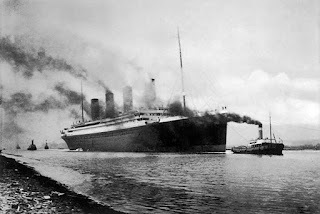 The small crew and officers assigned to Titanic take her out into Belfast Lough where they practice making turns and other handling characteristics. Then they steam into the open waters of the Irish Sea. 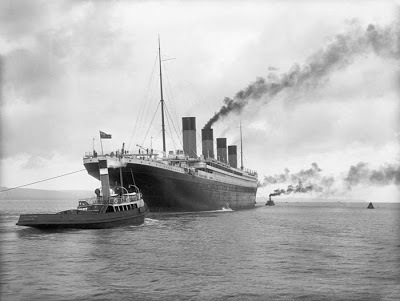 Over the course of about 12 hours, Titanic was driven at different speeds, her turning ability was tested and a "crash stop" was performed in which the engines were reversed from full ahead to full astern, bringing her to a stop in 850 yards, or 3 minutes and 15 seconds. The ship covered a distance of about 80 nautical miles (92 miles), averaging 18 knots (21 mph) and reaching a maximum speed of just under 21 knots (24 mph). On returning to Belfast at about 7pm the surveyor signed an "Agreement and Account of Voyages and Crew", valid for 12 months, which declared the ship seaworthy. Satisfied with her performance, Harland and Wolff officials proclaim her fit to sail. Bruce Ismay accepts her on behalf of the White Star Line. 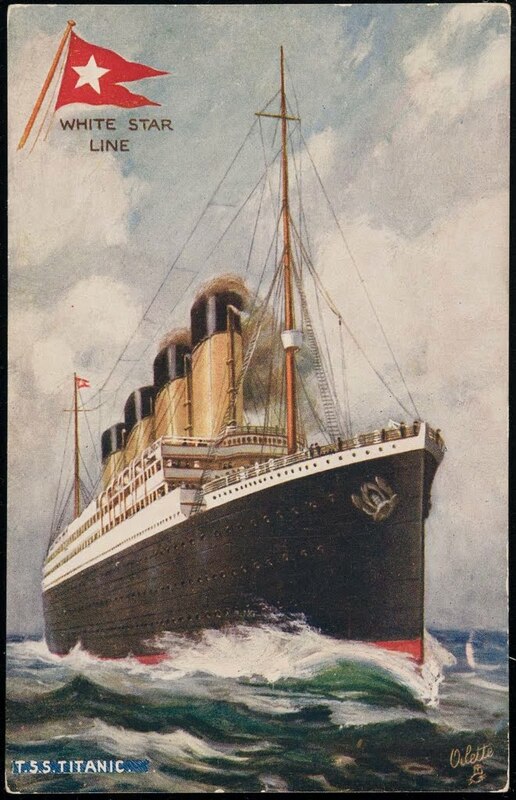 By 8pm, Titanic leaves Belfast for Southampton to prepare for her maiden voyage.